Tenerife offers a fascinating and contrasting combination of geographical features with arid desert, dramatic volcanoes, lunar landscapes, stunning coastlines and lush forests. The mountains divide the island into the north and south: the north is dotted with traditional whitewashed villages and banana plantations, while the south buzzes with the influx of tourism. The volcanic Mount Teide is the highest mountain in Tenerife, and the third largest volcano on the planet, standing 3,781 metres above sea level. Visitors can explore the breathtaking scenery of Teide National Park or youcan take the cable car to the top of the Mount Teide. Whether you are looking for a cheap last minute holiday or a luxurious suite in a 5 star hotel you will find it in Tenerife, the resorts all have good self catering apartments, a wide choice of hotel styles and board arrangements including all inclusive properties. Tenerife is a great year round destination with accommodation to suit every budget. Costa Adeje is set on the south coast of Tenerife and located just west of the famous lively resort of Playa de las Americas. This relatively new resort area has been planned and developed quite thoughtfully, it has attracted a good amount of hotel development the majority of which are 4 and 5 star standard. Following these developments other facilities, shops, bars and restaurants have arrived to service these hotel guests and the resort has become quite popular over recent times. The more gentile pace of Costa Adeje is in contrast to its lively neighbour but fun seekers will be pleased to know that the action is only a short taxi ride away. 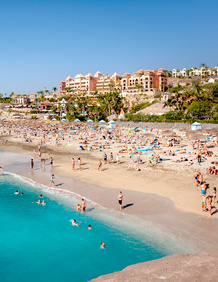 Holidays in Playa de Las Americas are a haven for fun-seeking holidaymakers. Tourists flock to the dark volcanic sandy beaches, The resort's six beaches, three natural and three man-made, are lined with palm-fringed promenades and large hotel complexes. 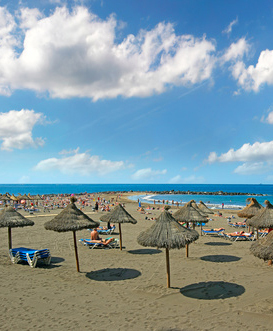 Two of the most popular beaches are Playa del Bobo and Playa de Troya. Visitors can try their hand at a variety of water sports, including jet skiing, windsurfing and scuba diving. Shopping fans can browse the wealth of shops offering local handicrafts, souvenirs and jewellery. The Torviscas market is held twice a week and offers countless bargains. 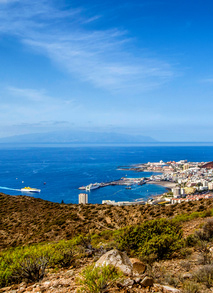 Los Cristianos is situated 15 kilometers west of the southern airport (Reina Sofía). This is without a doubt one of the most popular resorts on the Canary Islands. The man made beaches are very well maintained and it has a wonderful harbour that offers fishing trips, pleasure cruises, glass bottom boat excursions, diving opportunities and ferries to the island of La Gomera. 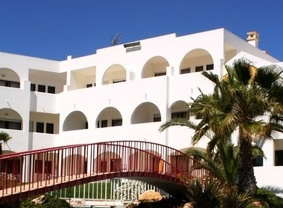 The resort has a range of accommodation the majority are self catering apartments and studios however there are several good hotels up to 4 star standard offering a variety of board arrangements including all inclusive.